Around here we see so little snow that the mere mention of the word causes people to fly into a frenzy of blizzard preparation. Long lines at the gas pumps, grocery stores and liquor stores. It’s almost like they think we will be stuck inside our houses, snow piled high on either sides of the road from the snowbanks created by the snowplows pushing the heavy snow out of the roads. That has pretty much never ever happened here, not that I can remember. We did have the great ice storm of 1994, but that was a far cry from a blizzard. Power outages, broken trees and plenty of damage, but people were able to get out of their houses. I did go to the liquor store and grocery store today, but only for a normal amount of food and booze. I fully expect to be able to leave my house over the weekend. This recipe will comfortably feed two people with a little left over. You can pair it with vegetables like cooked carrots or broccoli as a side and it would probably feed more like four people. 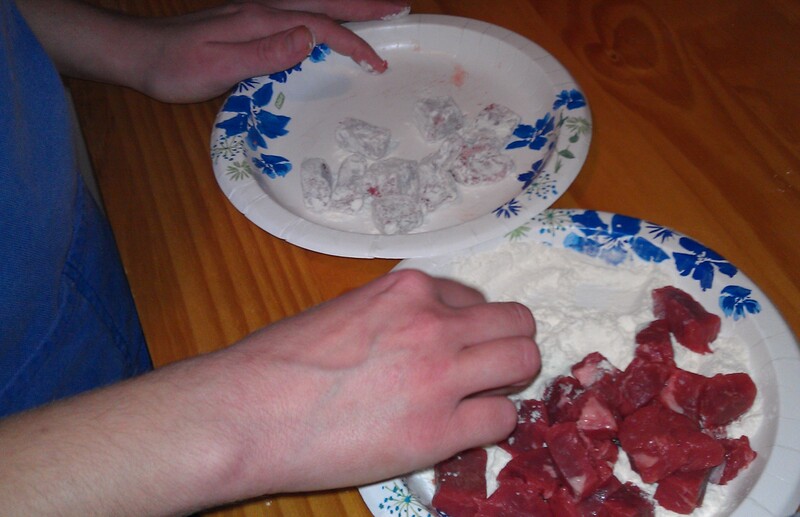 Cut the meat into little cubes and roll them in the flour until they are coated. Using a large frying pan pour in enough oil to cover the bottom and heat to medium heat. If the oil starts crackling turn it down just a little, it shouldn’t spit at you. 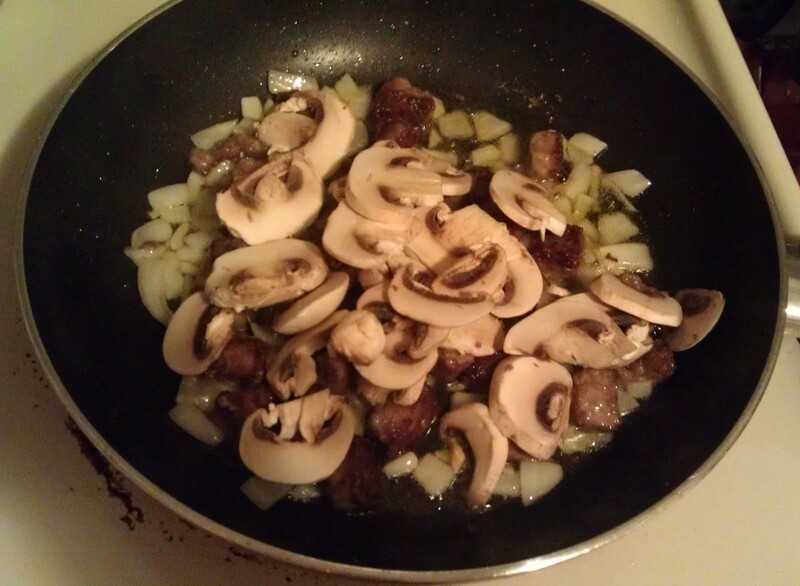 While the little chunks are browning you can slice up the mushrooms, onion and garlic. Cook the meat until it’s crispy, not burned. 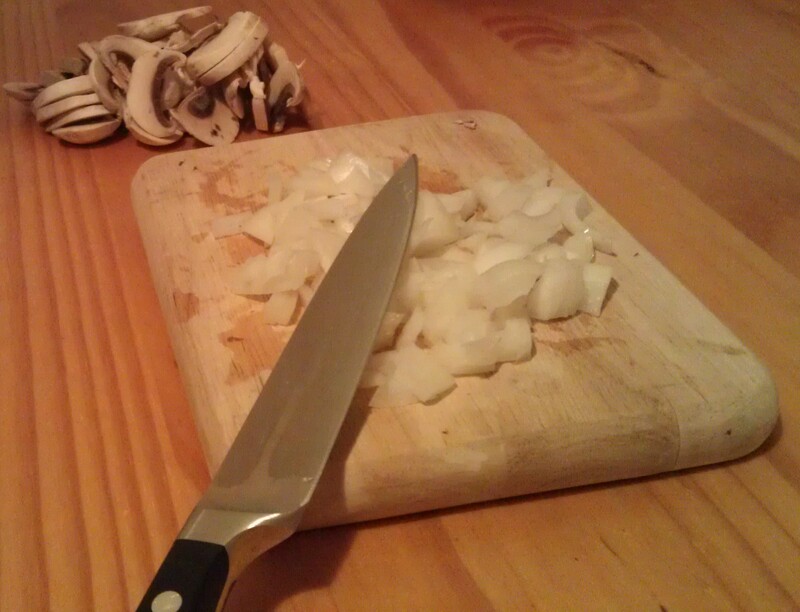 Add the onions and cook for about two minutes, add the mushrooms and cook for another 4-5 minutes, then add the minced garlic. 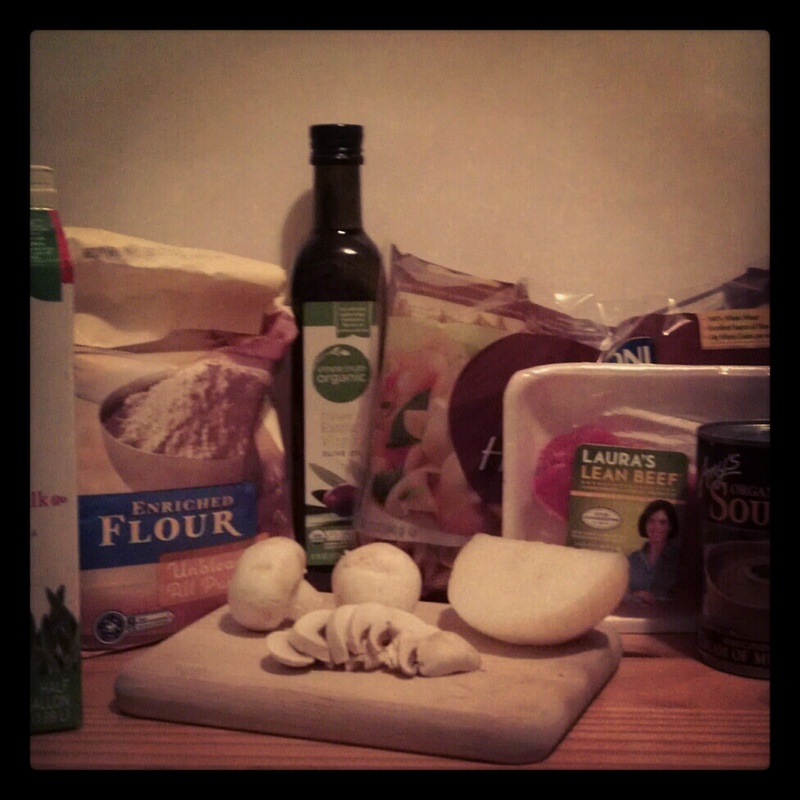 Once all your veggies are soft add the can of cream of mushroom and milk or sour cream. Salt and pepper as you wish and simmer for 15 minutes. While simmering you can boil the water for the egg noodles. 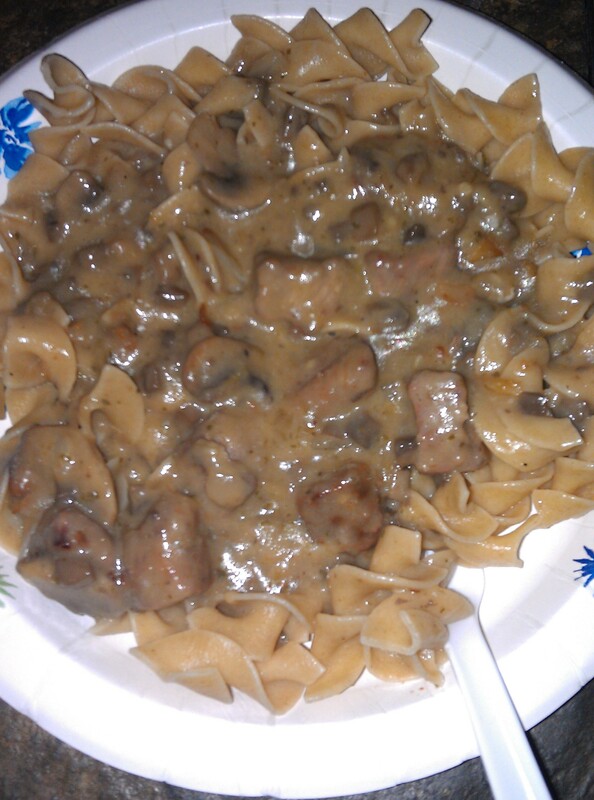 Let the stroganoff stand for 5 minutes to thicken then ladle it onto a pile of noodles on your plate! As you can see, I pulled out the good china for this one.